Reading Week | 1.21.19 — TBR, etc. This week I finished two books- both ARCs (advanced reader copies). We took a quick trip to Florida for the weekend and happily missed the big midwestern snowstorm. I’m sure the snow will still be there by the time we get back, but it was nice to feel warm weather again. I always think I’m going to do so much reading on vacation, and sometimes it works out, but this time I discovered the joy of HGTV and got a lot of ideas for our house from Chip and Joanna instead of reading. On to what I have been reading! I’m hosting a giveaway in partner with Flat Iron Books! Three winners will win At the Wolf’s Table and The Night Tiger. At the time of this writing- the giveaway is still open! I’m picking a winner Monday night. Enter here. I thought The Gown was great. I enjoy stories that are about the people behind a huge event and this was exactly that- it focused on the friendship between two embroiderers that worked on Queen Elizabeth’s wedding gown in post WWII London. It’s a story about hope, perseverance, love, and finding yourself after enduring tragedy. The Dreamers has been everywhere on Instagram and right in my reading wheelhouse. A mysterious illness hits a college campus in a fictional town in California, causing victims to fall asleep. It’s moving fast and more and more people are becoming affected- is anyone immune? Where will it end? I thought the writing was gorgeous and not too over the top.- but there were a lot of characters to keep track of. I think I would have liked it more overall if we got a little more action with the focus on fewer specific characters- but that’s just personal preference. I’m still working on The Library Book and We Cast a Shadow. I’m enjoying both, but these aren’t books that I can personally breeze right through. I’m so glad Flatiron sent over At the Wolf’s Table. It’s not something I would typically pick up on my own, but I was hooked after just a few pages. Rosa Sauer’s parents are gone and her husband is fighting on the front lines of World War II. 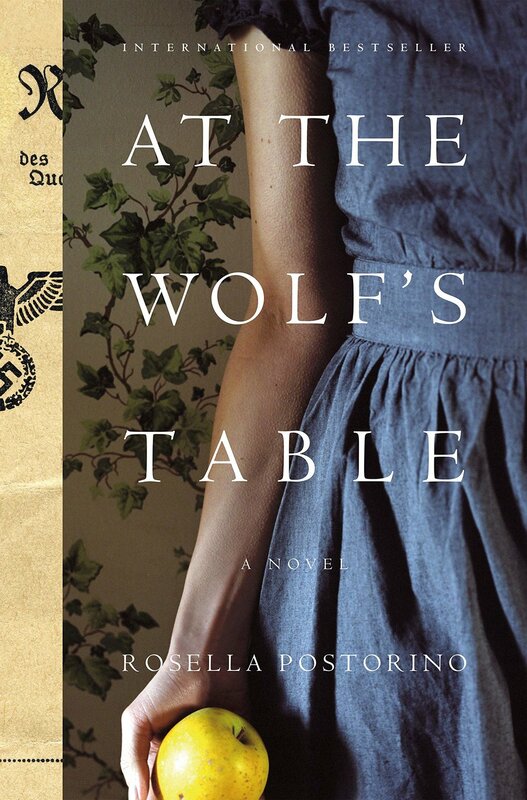 She flees war torn Berlin to live with her inlaws in the country until one day, she gets recruited to be one of Hitler’s food tasters. She and nine other women get bused to Hitler’s secret headquarters everyday and are required to taste his food before he does to make sure it’s not poisoned. This is translated from Italian, and I love the author’s direct way of story telling. If I want to stay on track for my reading goals for 2019, I definitely need to read The Gunslinger and Well Read Black Girls this month. I started WRBG and love the premise- it’s an essay collection by black women writers, but was pleased to learn that it’s a book about books! The contributers share their early experience with reading and discuss the power and importance of representation in literature. I got a copy of The Gunslinger in the mail right before we left, so I think I’ll work on getting through both this week. The Invited, Jennifer McMahon | I got this recommendation from Jill at the Professional Book Nerds podcast. This is a ghost story with a twist- a couple moves to the Vermont countryside to build their dream farmhouse. The wife, a history teacher, becomes obsessed with the dark and violent past of the land their house was built on. She brings original items from the property back into the home, and in doing so, may invite in more than she bargained for. Out in April. Golden State | Ben Winters | This was Book of the Month pick for January but doesnt come out until the end of the month. In a distant future in the Golden State, which is on the land that used to be California, lying is the greatest crime one can commit. Liberty Hardy picked it and it’s dystopian, but I can have a hard time really “getting” speculative fiction, so I’m not sure how I’ll end up liking this one.